I have just started to learn to swim at 47. It was a huge deal for me as have always had a fear of deep water. Ok in the shallow end but any deeper than my neck and I panic. My problem seems to be floating particularly on my back. I tend to stiffen up and I'm not relaxed and water just covers my face making me panic as I do back stroke with just my legs. The only way I stay up is if I bend at the hips and look like a V shape. I know this is wrong but when I when I try to straighten up water just covers my face. This makes me stop the stroke and stand back on my feet. Maybe I am not allowing myself enough time to relax for my body to float. I don't know. I have found that being quite a muscular guy does me no favors as i seem to cramp up heaps. Any advice, help, anything will be greatly appreciated. Being a muscular person is a disadvantage as a beginner learning to swim, because muscle is dense and tends to sink. Don’t let this put you off though. Muscular people can still learn how to swim, no problem. The fact that you’re cramping up suggests that you are not as relaxed as you could be. 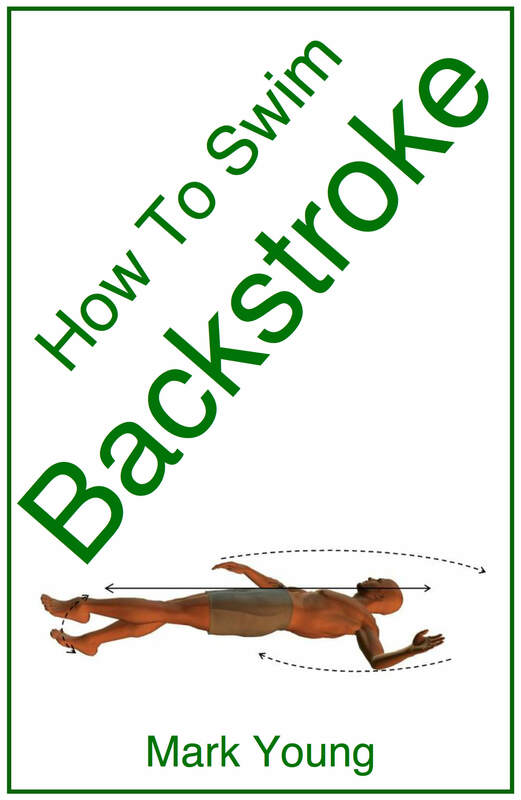 Body position is vital for effective backstroke and you’re correct to say that your V shape is not right. 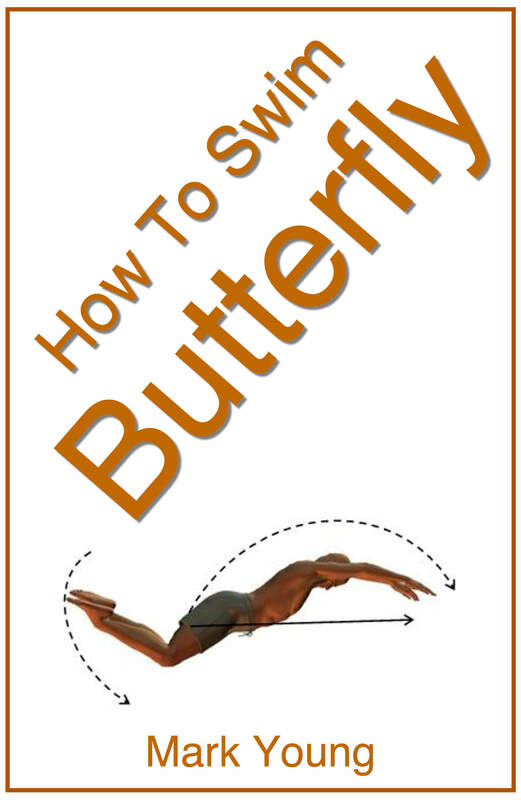 The hips have to be level with the rest of the body and head back looking upwards. Then, the legs and feet will be at or near the water surface as they kick and general movement will be relatively efficient. The position of the head is crucial and the slightest tilt backwards or forwards will change the body position a great deal. A tilt forwards is most common, especially in beginners as they subconsciously attempt to view their surroundings. This results in the hips dropping followed by that sinking feeling. A head tilt backwards will result in water on the face, which you are currently experiencing. It is important to find a comfortable mid point for the head position, which firstly takes some trial and error and also some perseverance between bouts of sinking. Try holding a float or kickboard across your chest. 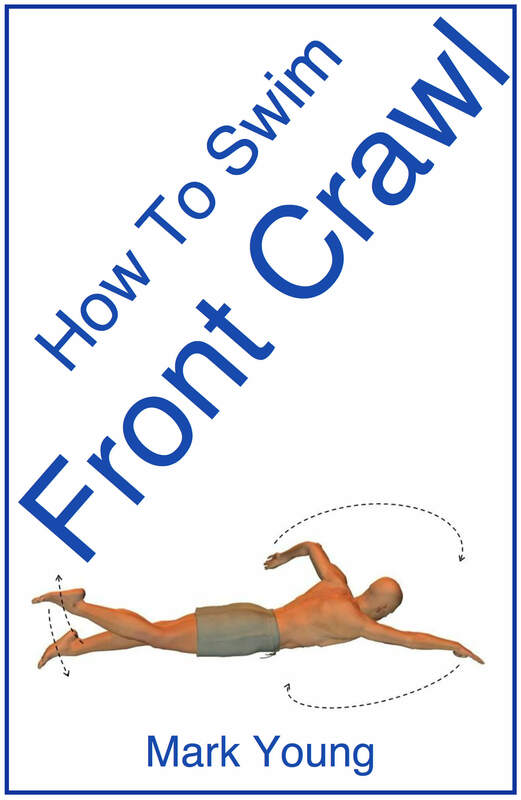 This will give you some support and allow you to maybe find that mid point for your head position. You will find some water coming onto your face, but try to resist that instant temptation to stand up. Maybe wear some swim goggles and/or a nose clip to help deal with it. Eventually you will find a happy medium and find yourself swimming longer distances on your back without any panic.